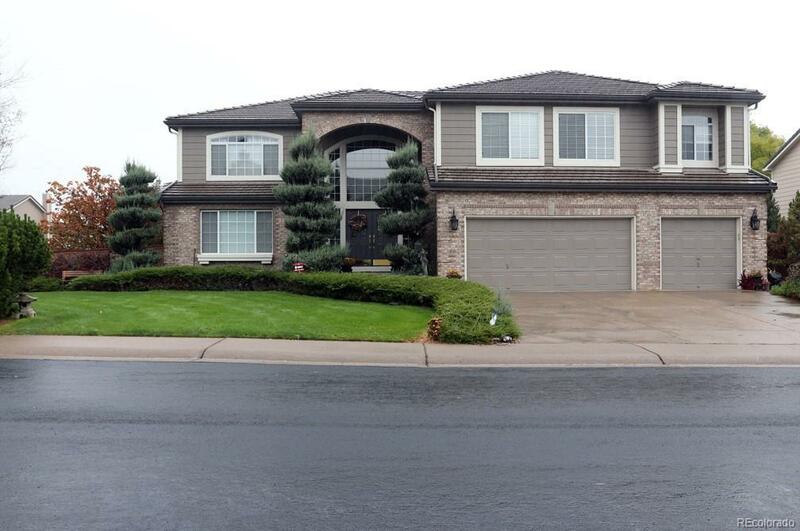 Beautiful Home on corner lot of quiet cul-de-sac w/ South facing front. Exterior photos are from the beginning of October, showing Beautiful Yard with Mature Trees and Landscaping. Full Plank Wood Floors were just refinished, Fresh Paint throughout Interior, and All New Carpeting. Master Suite is warm and cozy with a Fireplace and Huge Closet that was updated with custom "California Closets". Master Bath was updated w/ Oversized Soaking Tub, Chandelier, New Cabinets, Granite Countertops, and Radiant Heat Tile Floor. All Bathrooms have been Updated with Granite & Quartz, Tile, Sinks and Faucets. Oversized Bedroom #2 could also be Family / Rec Room on the Upper Floor, and includes Built-in Shelves and TV Nook. 3 Car Garage is Insulated and Finished, including a Floor Coating. Fountain at Porch & Backyard. HOA provides access to 4 Recreations Centers and maintains Extensive Trail System throughout the highly desired Highlands Ranch. Near Mountain Vista High School & Valor High School. Offered by Rocky Mountain R.E. Advisors.